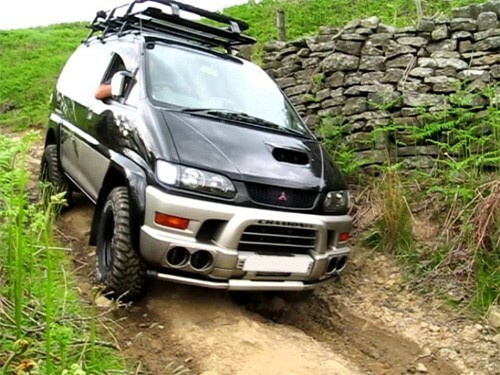 The essential elements of Long Distance off Road Jeep Hire with driver are freedom, flexibility and low cost. Independent travel means that you are not travelling with a guide, instead you are on your own in a 4 wheel drive jeep with driver following an itinerary which we will assist you to put together according to your interest in advance. 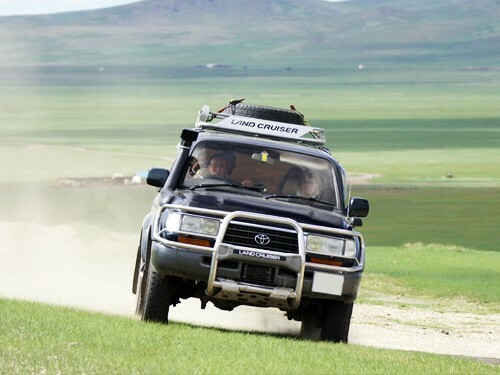 Our Long Distance off Road Jeep Hire with driver found very suitable for the experienced travelers. We can also customize a personal itinerary that suits your individual travel plans and help you to find other travelers who are looking to join a group. By adding more people you will be reducing the cost by number of people. Total number of travelers in a car. Group size depends entirely on your travel party and size of a car you choose. Most levels of accommodation will be catered for either by your driver according to your requirements or customizing your accommodation separately. 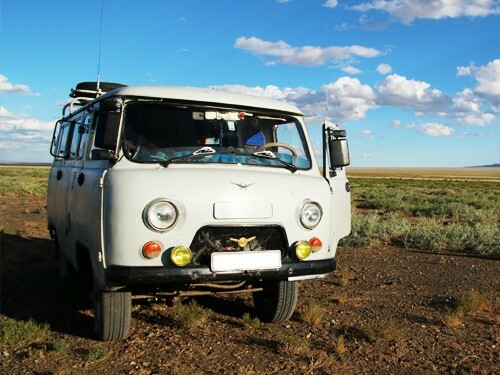 The most comfortable vehicle for traveling in Mongolia. All cars are equipped with air-conditioning. Japanese jeeps can carry up to 5 people including the driver. You can use these cars both for short and long distance. Safe, powerful and reliable, ensuring a smooth ride both in heavy city traffic and rough terrain. Thanks to its large size, spacious cabin, and huge trunk, this vehicle is perfectly suitable for a family or a large company voyage. It can carry up to 8 people. A comfortable, fast vehicle with air conditioning. It’s possible to use this car for up to 5 or 6 people during a trip. This car is capable of handling most Mongolian roads.